We offer a comprehensive range of web services, from 'brochure' websites to give you an online presence, to bespoke database driven CMS (Content Management System) websites. Together with our media partners we provide first class web design, web development and web engineering. In addition, by using industry standard prototyping tools such as 'Sketch' and Invision' we also offer 'UI' (user interface) design, to enhance your website. Causeway Law are a law firm based in SE1. They specialise in a wide range of legal services, including: Corporate, Employment and Intellectual Property law. Their requirement for was a responsive website, which would convey the bespoke and personal nature of the service they provide, as well as visually referencing the inspiration for the name of the practice. Brilliant – thank you for all your efforts and please pass on our thanks too to your team. You’ve done a great job. Jason Hunjan is a stunt coordinator and the founder of Stunts 53. 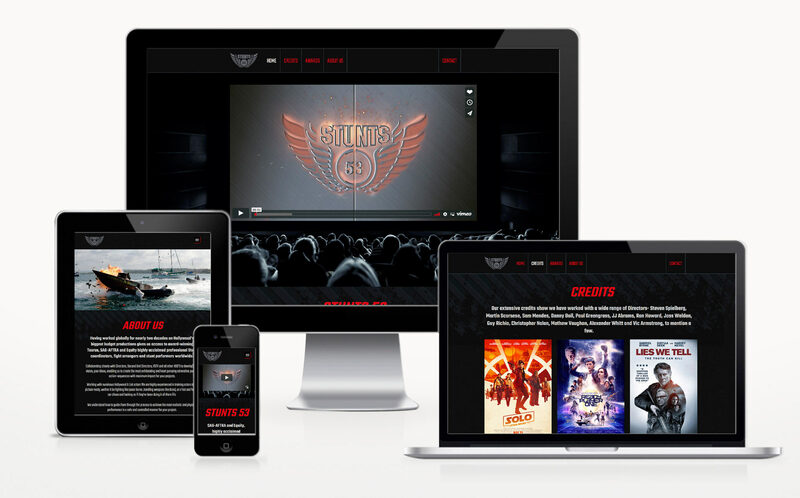 His requirement was for a mobile friendly, responsive website to showcase the stunts and films he'd been involved in. We integrated a video 'showreel' to the 'home' page and by using 'UI prototyping' created a 'UI' prototype of the website in the iphone 8 format, view it here [opens a new page]. This allowed the client to test and approve the user-bility of the website via his mobile phone, before the website build was started. 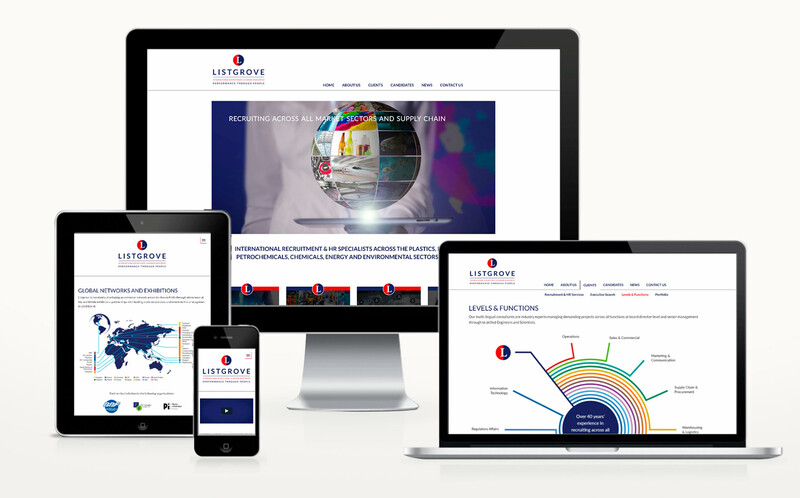 Listgrove are an international business, with a specific focus towards the plastics, packaging, petrochemicals, chemicals, energy and environmental sectors. 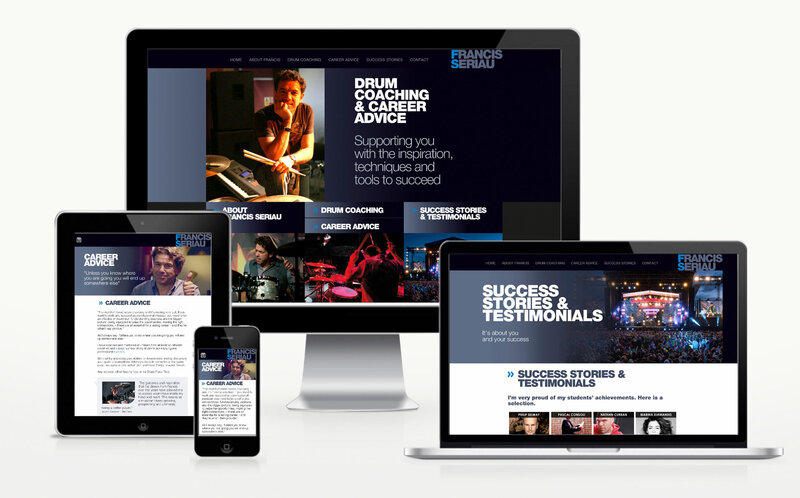 The requirement was for a completely new approach to their website. We integrated video to the 'home' page, and by utilising the infographics designed for the brochure, created a unique web presence for them. 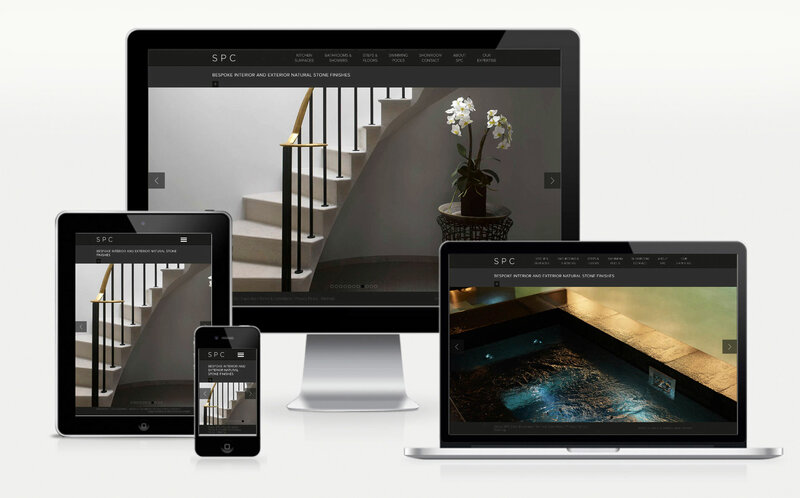 SPC are a specialist natural stone supplier based in Battersea. We redesigned their website and developed the ‘user interaction’ of the site, to facilitate, and enhance, consumer oriented usability. We also conducted three months of Search Engine Optimisation. 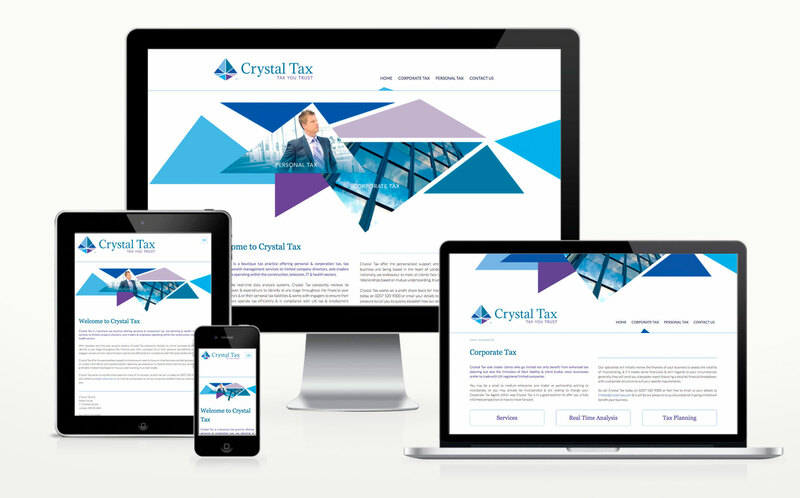 Crystal Tax is a boutique tax practice offering personal & corporation tax, tax planning & wealth management services to limited company directors, sole-traders & employees. We took inspiration from the existing logo and used its elements to create a visually striking online identity. Francis Seriau is a world renowned business leader and mentor. 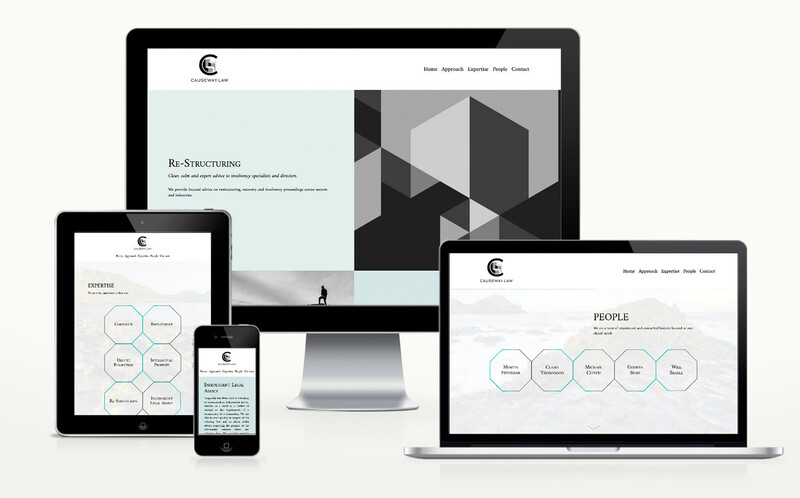 His requirement was for a fully responsive, unique website – including Search Engine Optimisation. 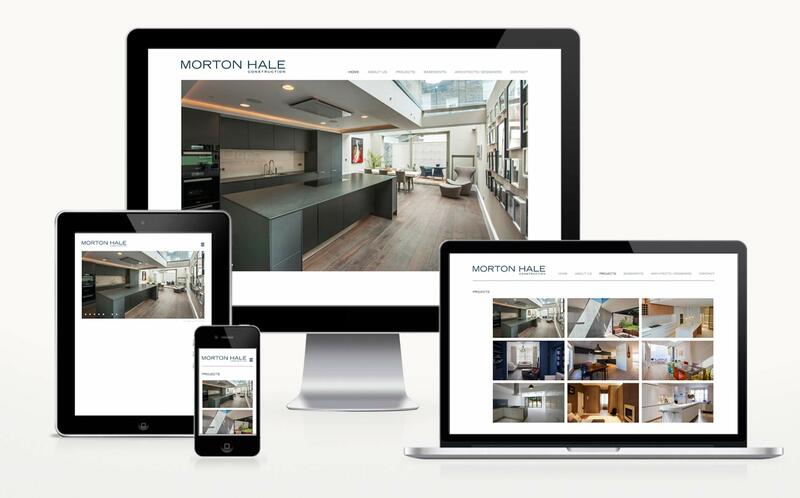 Morton Hale Construction are a high-end construction company in Greater London. We designed their website to highlight their impressive building projects using an intuitive, visually based ‘project' navigation system. 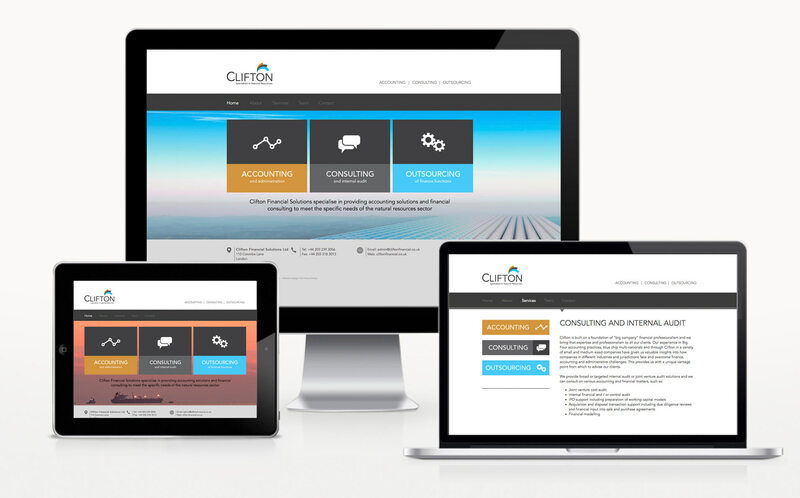 Clifton Financial are accountants who specialise in services for the oil, gas and natural resources industry. The client specifically requested a non-responsive website design. 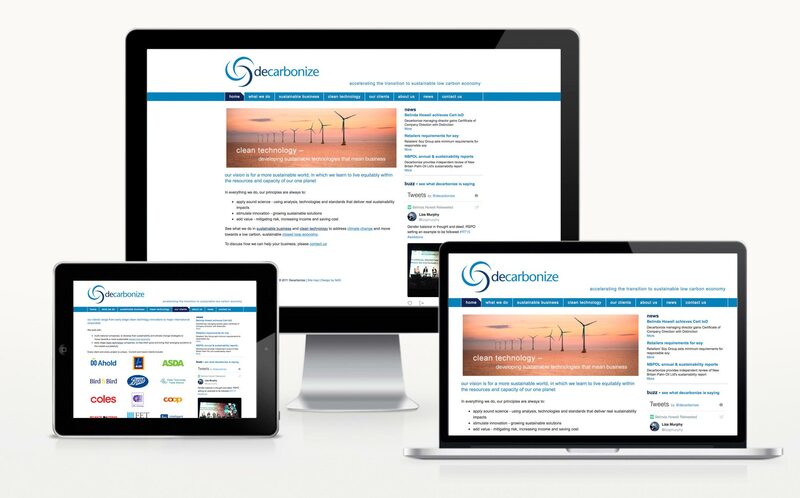 Decarbonize advise major international companies in how to become more sustainable by developing their approach to sustainability as an integral part of business strategy. We integrated the clients ‘Twitter’ posts in the website and built a bespoke Content Management System for client-side editing.